The courtroom was silent as the clerk read the verdicts. After the jury was dismissed and Judge Ann Montgomery adjourned court, Zimmermann's wife, Jenny Heiser walked over to her husband. She hugged and kissed him as tears rolled out of her eyes. Zimmermann produced a slight smile. Throughout the trial, Zimmermann maintained a matter-of-fact demeanor. That demeanor did not change, even as he talked to reporters outside the courthouse about the prospect of spending several years in prison. "A lot of my heroes have spent time in jail. Martin Luther King, Leonard Peltier, Nelson Mandela," said Zimmermann. "In my lifetime, if you would have asked me when I was my son's age here, 'Do you think you'll ever go to jail?' I'm sure I would have said, 'Probably.'" A lot of my heroes have spent time in jail. Martin Luther King, Leonard Peltier, Nelson Mandela. 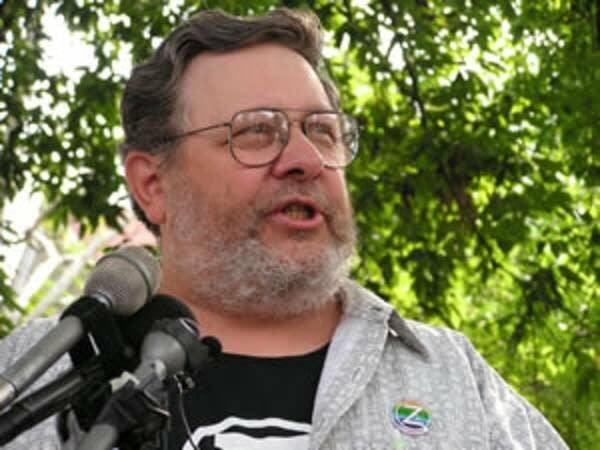 Zimmermann is a long-time environmentalist, anti-war protester and civil rights activist who won election to the Minneapolis council as a member of the Green Party. He testified that he believed the man he took the cash from, developer Gary Carlson, was making campaign contributions and charitable donations to a nonprofit group collecting money to pay for a lawsuit. Carlson, who was looking for Zimmermann's help in rezoning a development he was building, wore a wire for the FBI and recorded their conversations. Zimmerman's lawyers argued that Zimmermann never engaged in a clear quid-pro-quo relationship with Carlson. But former U.S. Attorney B. Todd Jones says public corruption cases are more complex than that. "It's unusual where you're going to have someone in these kind of situations be caught just dead on saying, 'I'll do X if you do Y.' It's always inferred, and it's just a matter of common sense," says Jones. Jones says Zimmermann will likely serve time behind bars, because public corruption cases involve a violation of the public's trust in their elected officials. Jones says politicians have to be careful as they walk the line between what is a campaign donation and what could be taken as an attempted bribe. "Unfortunately, the involvement of money -- both to get people elected and lobbying efforts -- sometimes blurs that line. In this instance the jury, given their verdict, made a decision that that line had been crossed and there was a connection." Zimmermann maintains he didn't do anything illegal, although he says some things he did were stupid. "If I had it to over again, I would have been more cautious about when he gave cash instead of a check," says Zimmermann. "If you go over any of those tapes, you will hear me use the word 'check' a lot. You will never hear me say, 'I need cash.'" Assistant U.S. Attorney John Docherty says he's pleased by the jury's verdict. But he says the conviction of a public official for corruption is nothing to be happy about. The counts on which Zimmermann were convicted each carry maximum penalties of 10 years in prison and $250,000 in fines. Zimmermann won't know what kind his punishment will be until his sentencing, which is expected to take place in a few months.